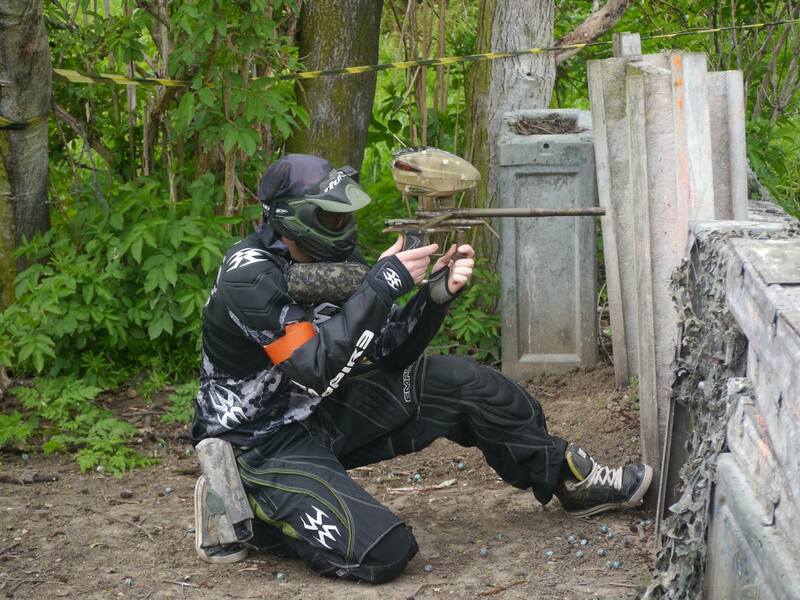 I usually only play paintball once a year at the annual “Design Team” get together for Adam Hartwig‘s birthday. Last year my gun decided it didn’t want to work, and that was after sending it off for a service to make sure something like that wouldn’t happen. But it did, and it ruined my day. After the pain of spending all day taking a gun to bits while everyone else was out having fun I promised myself I’d get something new for next time. I’d been told that when it came to electric markers, you couldn’t beat Planet Eclipse for reliability and that’s what I wanted. They’d just released the Etek5 and it appeared that a lot of Etek4’s were coming up for sale as people wanted to upgrade. 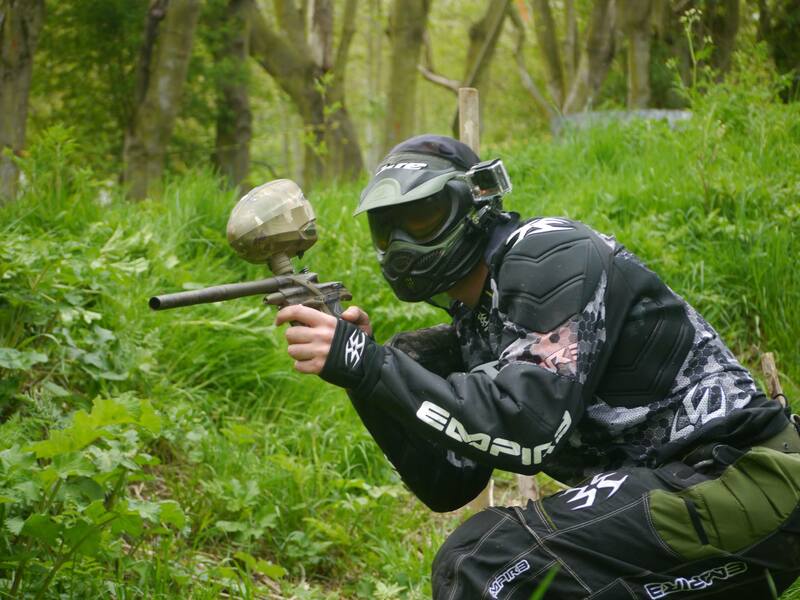 With the second-hand market briefly flooded (that’s probably an exaggeration) the prices came down and I picked up an Etek4 LT in HDE Earth (the best colour-scheme) for £200. Pretty damn perfect! Well done to the previous owner for keeping it in such great condition. 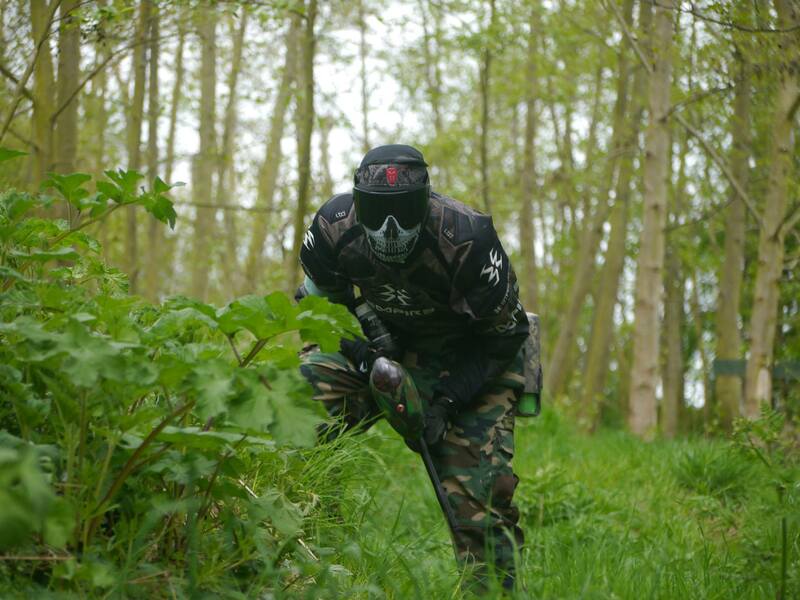 So with a nice new gun to play with it was time to get myself to a paintball site. 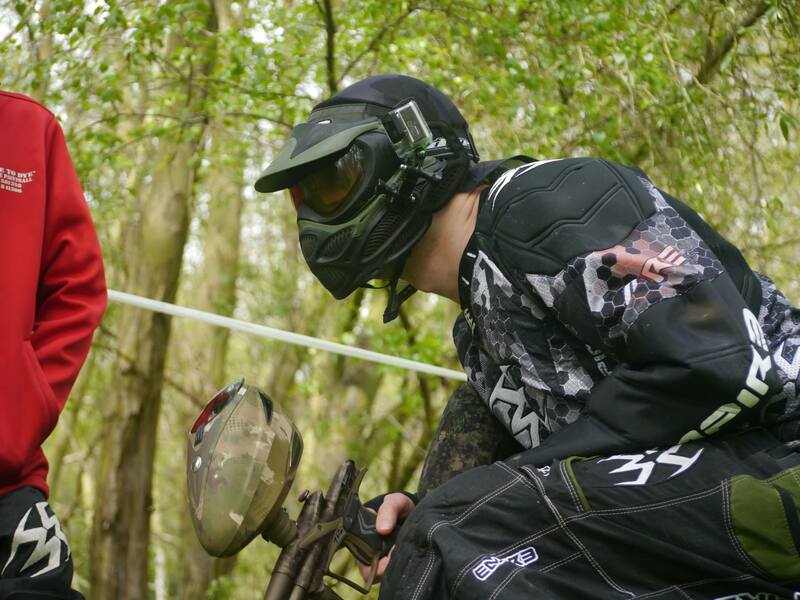 I really like Warzone Paintball in Wisbech, it’s where we go for the design team meet and it’s always a fun, friendly atmosphere. 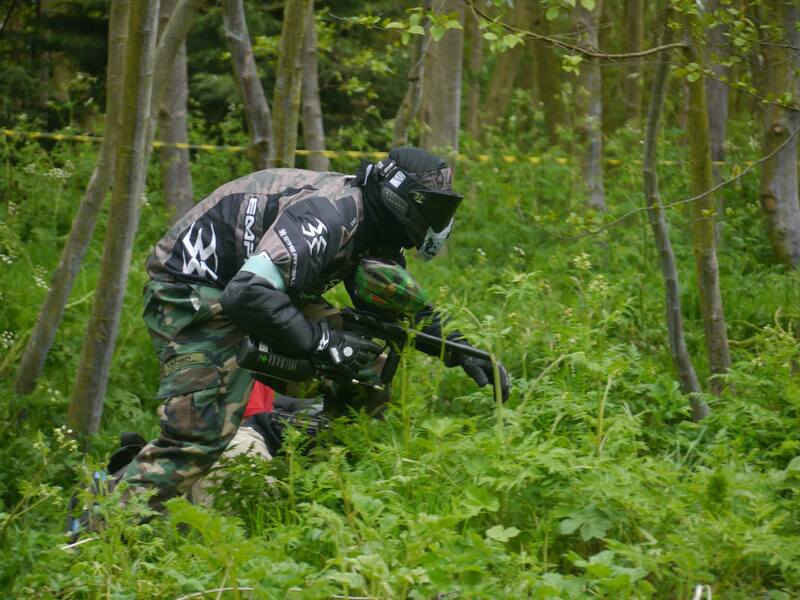 May 2nd we’d head over and join two groups of rental players and any other walk on’s that showed up on the day. With my new gun and the Ion as a spare I had almost enough gear for Andy to play as a walk on, so the week prior he bought himself enough gear to cover the basics and 8am Saturday morning we set off for Warzone. Don’t trust Google maps for directions to Warzone, we ended up 10 miles away. You’ll want to punch in “Squires Drove, Three Holes, Wisbech” and that will get you to the lane than leads to their car park. Using a tripod adapter and an appropriate bolt I put together a pretty tidy GoPro mount for my mask. 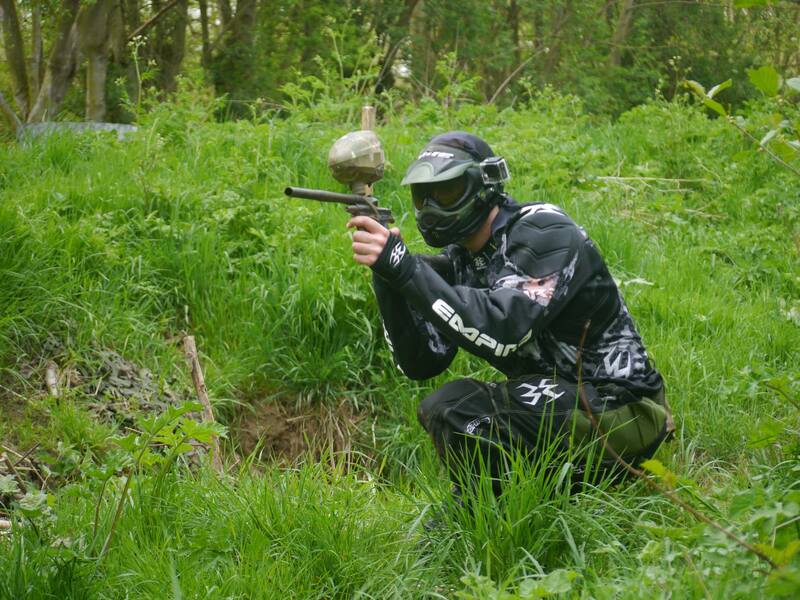 As well as this there’s always a Marshal at Warzone out on the field taking photos of each game, full credit to Shalom Solomon for getting some amazing shots on Saturday. 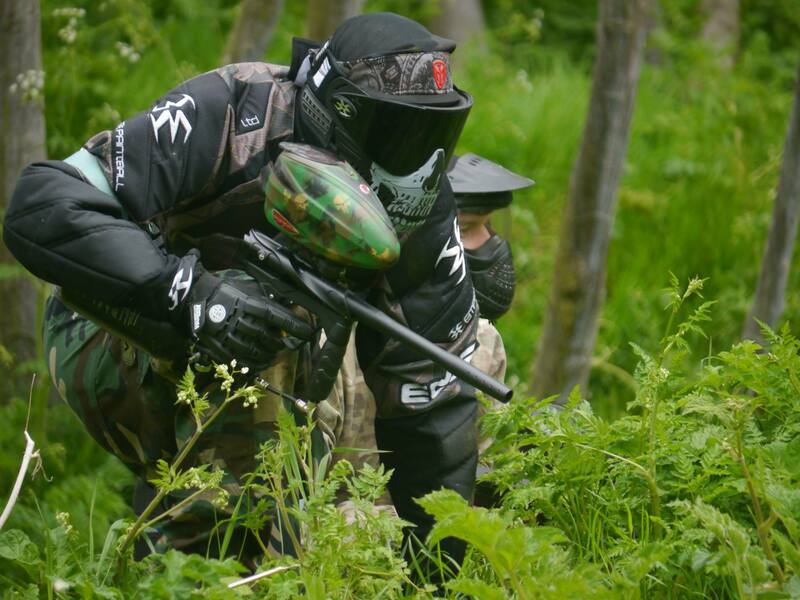 The full gallery of the day can be found on the Warzone Paintball Facebook Page. 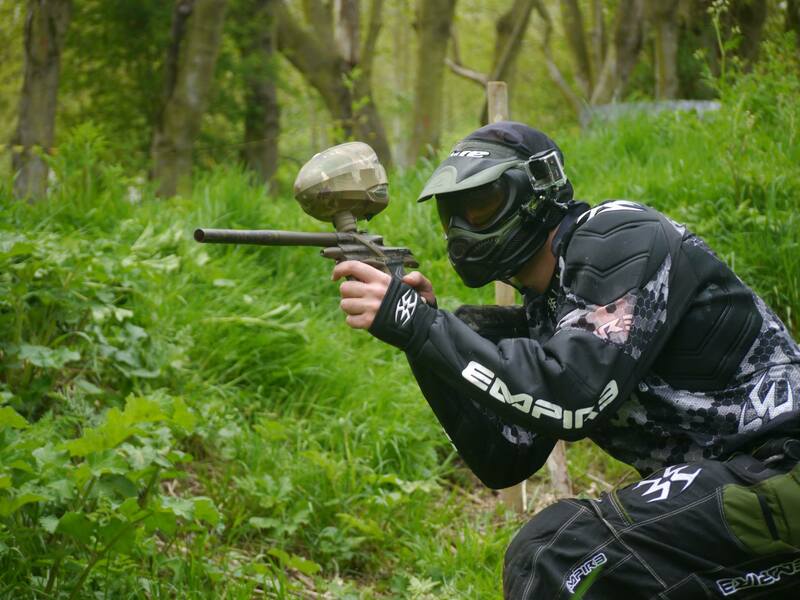 The Etek4 was great, being only my second marker I doubt I’d do a very good job of describing how it performs but it feels fantastic. I love the look of it and I think it sounds great. Mine came with the TechT Kush bolt which is supposed to be a fraction quieter than stock and more efficient. 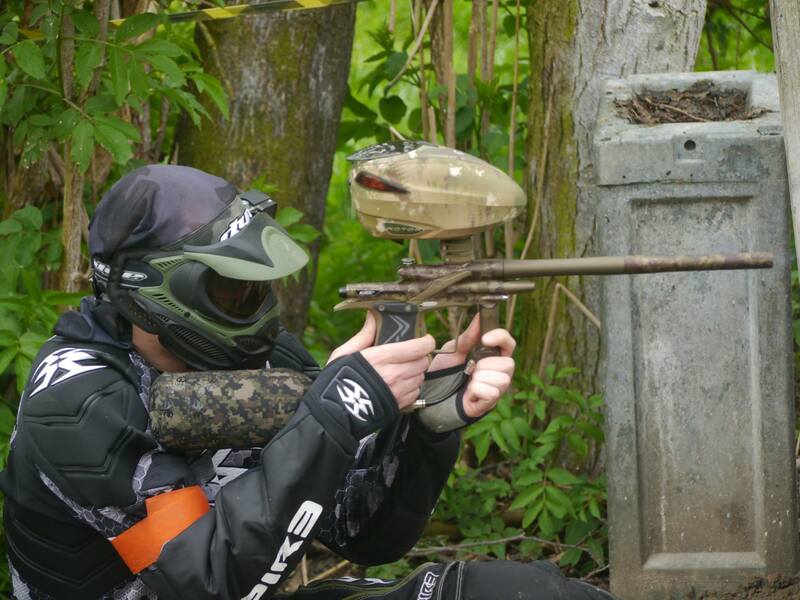 It shoots consistently and felt like it was hitting exactly where I was aiming, so no more blaming the marker when I miss. At the range the chrono told me I was getting 10 balls per second, I don’t know if that’s good by any standard but it felt good and felt easier to achieve than with the Ion. Will be heading back again at the end of the month with a bigger group and again for the design team meet shortly after. Now I’ve got a decent gun I need to justify buying it by playing more than just once a year. Nice to be back in the game!